Composition of human face wire-frame and fractal elements on the subject of mind, reason, thought, mental powers and mystic consciousness. Psychokinesis, as defined by Wikipedia, is “an alleged psychic ability allowing a person to influence a physical system without physical interaction.” This kind of interaction is made possible because the mind has not only a physical basis, but a subtle energetic basis as well, and this subtle energetic framework of the mind is what is projected by the mind onto any object on which it focuses. Hundreds if not thousands of scientific studies over the last five decades has revealed a subtle but measurable non-physical connection between the human mind and various physical systems (including other human minds). Dr. Charles T. Tart has been involved with research and theory in the fields of Hypnosis, Psychology, Transpersonal Psychology, Parapsychology, Consciousness and Mindfulness since 1963. 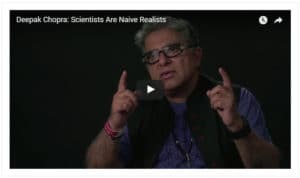 He has authored over a dozen books, two of which became widely-used textbooks; he has had more than 250 articles published in professional journals and books, including lead articles in such prestigious scientific journals as Science and Nature, and provides regular public speaking appearances. In this video, Dr. Tart discusses the long history of scientific research on psychokinesis and its implications for the nature of consciousness.